Last week, I appeared as a guest-host on Episode 386 of the VMware Communities Podcast [TalkShoe | iTunes | PlayerFM]. It’s something I hope to do on a fairly regular basis, time permitting. We had a great discussion with Karl Childs, the Senior Manager – Certification Development on the topic of the VMware certification program. We talked for an hour about the state of VMware Certification landscape. I wanted to summarize my thoughts on the conversation and write about some follow-ups I did. 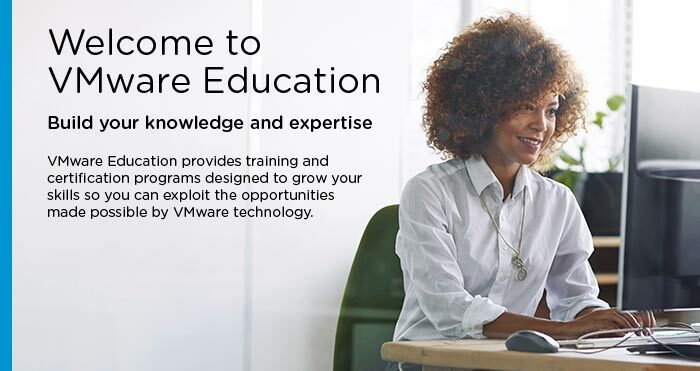 Coming into the conversation, I’d solicited questions and got a really good one, “Does VMware ever plan on dropping the requirement of taking a class as a prerequisite for obtaining the VMware Certified Professional. The class now runs over $4,000.” This is especially true now that the VCP needs to be refreshed every two years. Karl didn’t indicate that there’d be a reversal on either of these policies. However, there might be a misconception of the recertification process. Once an individual has a valid (non-expired) VCP, there’s no further class requirement. With a valid VCP, you can take any further exam that you meet the non-classroom requisites for and refresh for another two years. That is, a VCP-DCV 6 could take the delta exam for VCP-DCV 6.5 with no class requirement and be good for another two years. Same for taking a different VCP exam, such as VCP-NV, VCP-DTM, or VCP-CMA. Same for advancing from VCP to VCAP in the same focus area. There’s no classroom requirement with a valid certification, just pass the exam. So a well-managed certification career should only need a single classroom fee. Even the presumption that one needs to take a $4,000 class doesn’t have to be true. The VMware IT Academy program provides a method to take the Install/Configure/Manage course from a local college. A quick Google searched turned up Wayne Community College (Goldsboro, NC) which is offering vSphere 6: I/C/M for $180. And sure enough, Wayne CC is listed in the VMware IT Academy program’s web site. A major topic was the cost of the VMware Certified Design Expert path. The VCDX price did go up from a $300 application fee and $900 defense fee to a $995 application fee and $3000 defense fee (with a $900 fee for a remote re-defense or additional VCDX defenses). Yes, a big jump, especially for those who began walking the path assuming the earlier cost. There was a comment floating around that stated it could cost $15,000 in program fees for someone to achieve, this assuming everything went right the first time. That’s not quite accurate with classroom fees being a one-time cost. With a valid VCP-DCV, the only fee barriers to a VCDX-DCV are the two VCAP exams ($450 x 2) and the VCDX application and defense fee. $4000 fees for VCDX, $1000 in exams for VCAP. If using a VMware IT Academy provider for the initial ICM class, the fees could be under $5,500. Not to mention that this isn’t a path that you’d knock out in a year. Validating one’s skills as a certified architect might cap 10 or more years of experience in IT. Karl mentioned that the VCDX is more analogous to the CCAr certification, not the CCIE as people seem to think. That being said, I’m sympathetic. This is a certification path I thought of walking for a while and that’s a lot of money to invest in fees, not to mention the time investment. Having it spread over time helps a bit, but it’s still a big chunk of money. I still think that the biggest investment is time, not money. If you haven’t read some post-VCDX certification write-ups of people’s journey’s you should. There’s almost always a section about the generousness and support of the people in the candidate’s personal life. Karl mentioned that the price increase is going towards making the VCDX program better for the participants and the cert-holders. Perhaps more marketing of the brand. I mentioned that CCIE has better brand recognition, and Karl wants to overcome that (along with that mistaken alignment with CCIE instead of CCAr). In addition, he’s trying to run the VCDX program at break-even, not as a profit-centerDis. Karl brought some pretty interesting news about VMware Certification program’s evolution (outside of the price tag). VMware hasn’t had a “dot release” on a certification before, with no such thing as a VCP 4.1 or 5.5. There was actually a new test around vSphere 5.5, but passing it just got the candidate a VCP-DCV 5. It was decided that there’s been enough changes to the product in the 6.5 release that there will be an official VCP-DCV 6.5. In addition, there will be some additional specialist badges as recognition above and beyond the VCP-DCV, validating some specialized training. Karl called out vSAN as an example of a technology which hasn’t had a way to recognize expertise until this change. “Storage, Operations, Security are the things we’re looking at.” He also speculated that these specialist badges might reset the certification timeout. I asked about on-demand training, and Karl said that the plan is to offer more and more classes this way. On the call, Andy asked why the time had been cut from 45 days of access to 30 days. There wasn’t a good answer for that. It’s something to follow-up on. Airwatch is being migrated into the badge program. 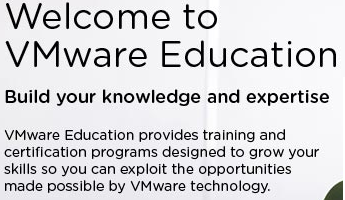 I know that Airwatch education isn’t integrated with VMware Education department. It’s another thing to keep an eye on.